The ‘Excel’ range is York’s premium line above the ever-popular ‘Perform’ range. There are 2 models in the Excel range, those being the rear drive 310 model and this, the slightly more expensive and upgraded, front drive 320 model. Let’s check it out! 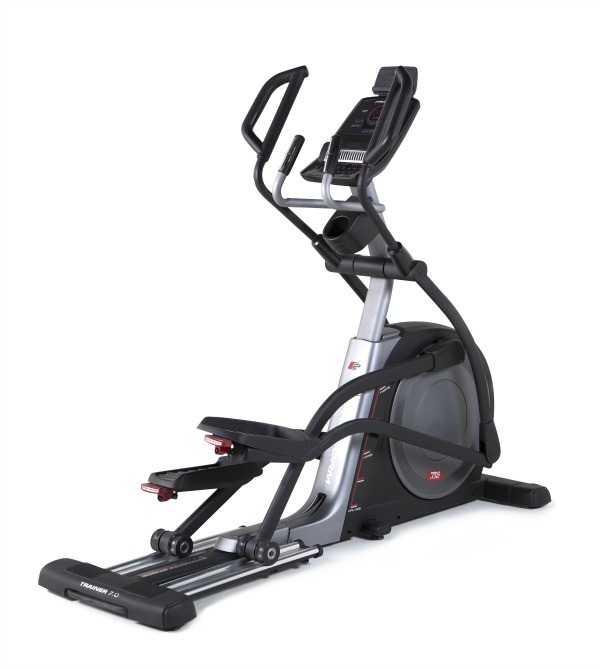 When it comes to assembling the machine, York have made the process fairly hassle-free. For one thing, the diagrams in York instruction manuals are generally very clear and this is no exception. Also, they have a helpful way of grouping the necessary bolts and screws from each step of the assembly process into their corresponding sections labelled on the blister pack of hardware. Assembling equipment can sometimes be unbearably frustrating if any bolts or screws don’t align with the holes but no such issues were found with the building of our ‘320’! The engineering is precise and the quality of parts seems very price appropriate. The high quality components used in its construction, combined with 26″ wide stabilizers make the ‘320’ feel very solid in use. We particularly like the convenient method by which you can level the pads underneath. There is a twist dial protruding through a slot in the end of each stabilizer so there’s not the usual hassle of lifting the machine up to adjust the pads to sit level on the floor. 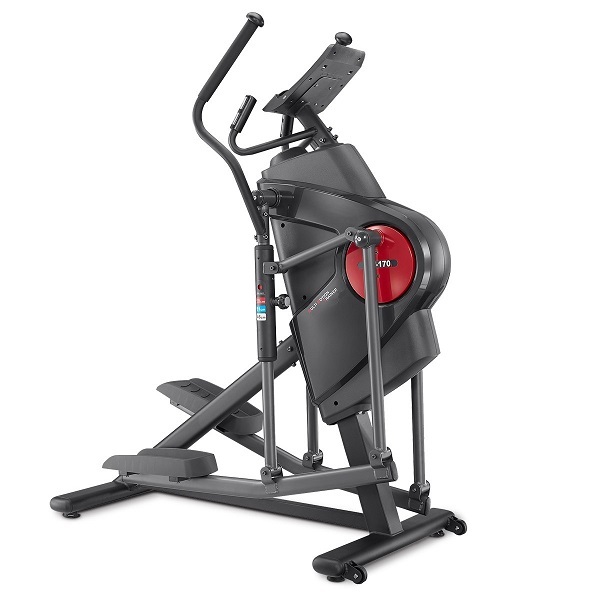 The machine has a maximum user rating of 130 kg (over 20 stone) and after seeing how well it coped under the 120 kg bodyweight of our reviewer (Charlie Rawes) we are confident in York’s claim! 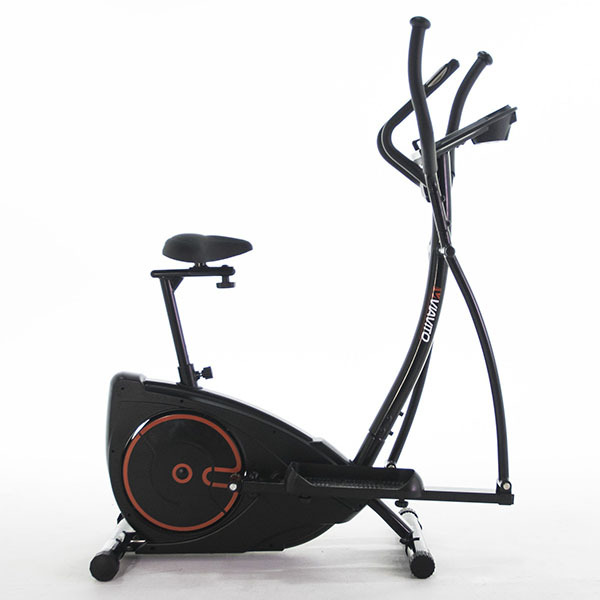 The stride length of 18″ also felt very comfortable to our 6’2″ tall tester, proving that this machine should be an ideal fit for most shapes and sizes. N.B if you are a smaller user who would prefer a shorter stride, then remember that the cheaper Excel 310 (rear drive) has a 16″ stride length that maybe worth considering. The flywheel weighs an impressive 13.5 kg (nearly 30lb) which means you get great momentum and no jerky revolutions as the pedals move round. The crank arms are mounted with chunky rollers that glide up and down concaved chromed guide rails and the motion is wonderfully smooth. Unlike on rear drive machines, the positioning of the pedals can run closer than is normally achievable when working around the flywheel casing. This distance is called ‘The Q-factor’ (space between the pedals) and at about 3.5″ apart, the hips and joints are placed in a very natural and comfortable position. The angle of the pedals is bio-mechanically correct so there’s not too much strain on the knees too. The Excel 320 has a self-generating drive system so it gives you complete freedom to set it up anywhere in the home without needing a plug or any extension cables. The console is the same as on the cheaper rear drive 310 model, but with one distinct improvement – this machine has the inbuilt receiver that we were so sorely missing when we tested the 310 – Plus it also comes with a free chest belt too! Being able to receive heart rate readings wirelessly, not only allows you to use the dynamic handles instead of being restricted to holding onto the pulse sensors, but the readings are much more accurate too. The chest belt transmitter can also be used to enjoy one of the four heart rate controlled sessions. You can choose from pre-sets at 55% of your personal maximum, 75%,90% or there is Target HR where you can set your own % level to work within. During these sessions the computer automatically adjusts the resistance to keep you training in the right zone. 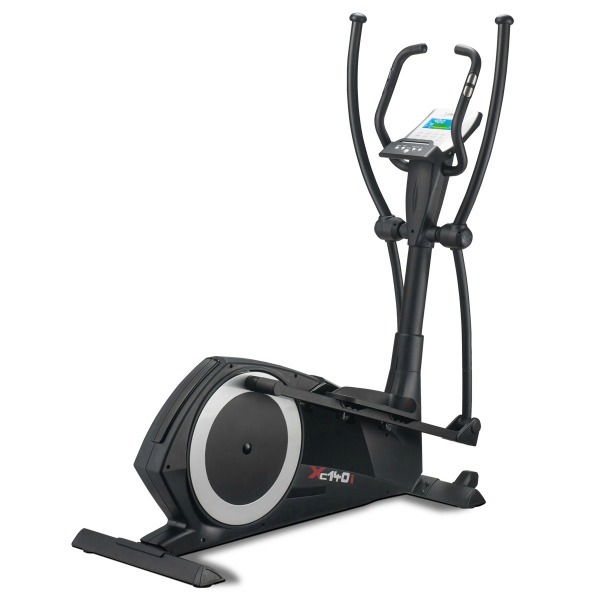 The Excel 320 also has a clever feature to use immediately after your workouts to test your aerobic recovery rate. You simply enter the ‘Recovery’ and the time starts counting down from 60 seconds. When the time reaches 0:00 a score appears on the display from 1 – 6 (a score of 1 being ‘Outstanding’ and 6 being ‘Poor’!). There is a selection of 12 pre-set programs, the duration of which can be set from 1 minute up to a maximum of 99 and the level of maximum resistance at peak can be set too. The inclusion of a user-defined program allows you to build and store a custom workout that you can enjoy again or alter as and when you fancy a change. Navigating around the various programs and features is incredibly straightforward thanks to a well laid out display and only a handful of buttons to concern yourself with. 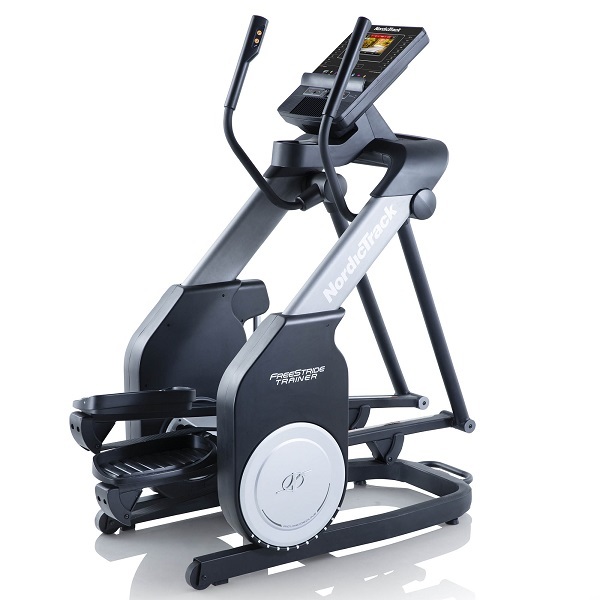 The console can be tilted for easy viewing and the clarity of the 2 colour LCD display is excellent for monitoring your training feedback at a glance. Every 6 seconds it highlights a different area of data from the row on the left (e.g Time or Calories burned etc) and highlights the figures in the large central section of the display above the dot matrix. We liked the way the button surrounds are backlit in electric blue which really stands out from the matt black console and it’s subtle details like that that give it a look of quality and expense! 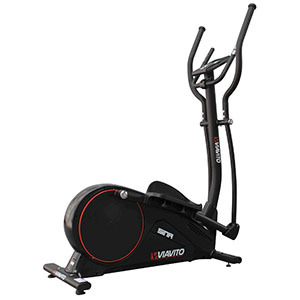 The central shuttle dial control is also a fantastic feature in that it makes effortless work of skipping through programs and altering resistance levels. 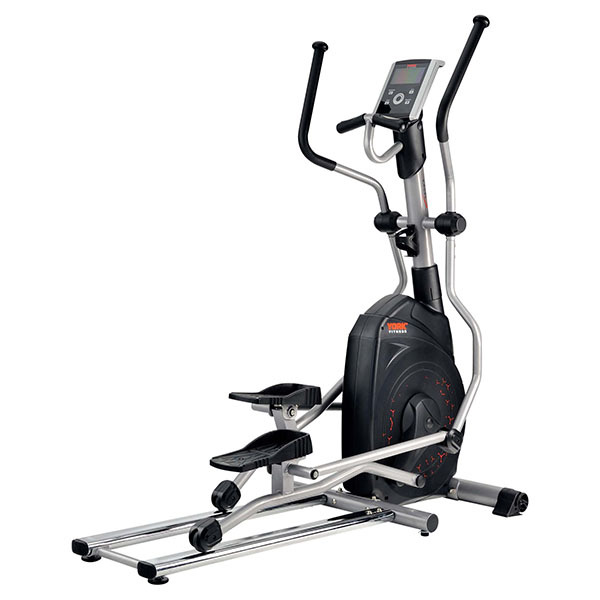 The mention of Resistance levels brings us nicely to the crowning glory of the Excel range of Ellipticals. York has managed to equip these machines with one of the best (or should that be ‘toughest’!) electro-magnetic resistance systems we have tested for a good long while! There are 32 Levels and they steadily increase from very comfortable, to almost immoveable, and everywhere in between!! So what do we think of the Excel 320 overall? This model is never going to appeal to fans of the latest fitness gadgetry and innovations. There’s no provision to connect to the internet (or even to your MP3 player) so if you like to mix your training with technology, then this is neither the model, nor the brand, for you. 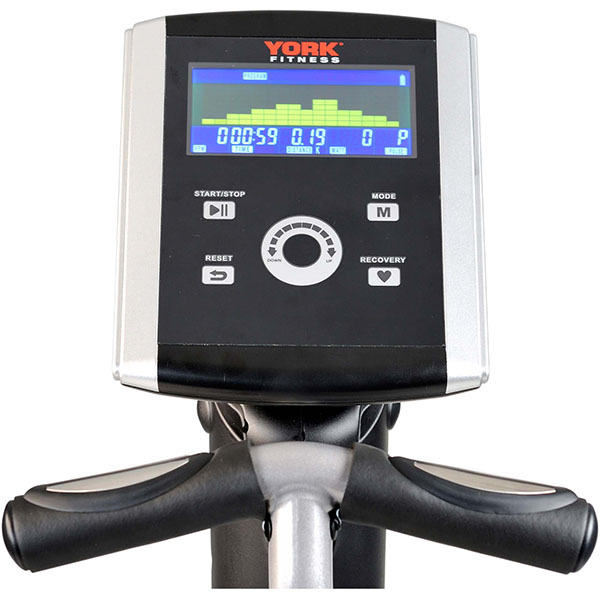 What York has done very successfully here, is create a very well made machine, that is designed to simply and effectively deliver RESULTS! 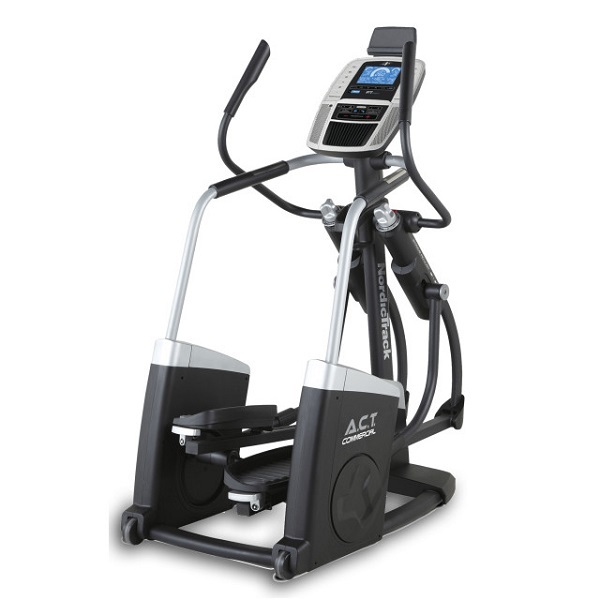 If you’re not too concerned with downloadable software and the like, the self-generating system means you can set this in front of the TV set or anywhere in the home and enjoy a silky smooth ride, plenty of programs and all the muscle toning capabilities you could ever wish for from 32 levels of resistance! The York Excel 320 Front Drive is not currently available from any retailers we're aware of in the UK. 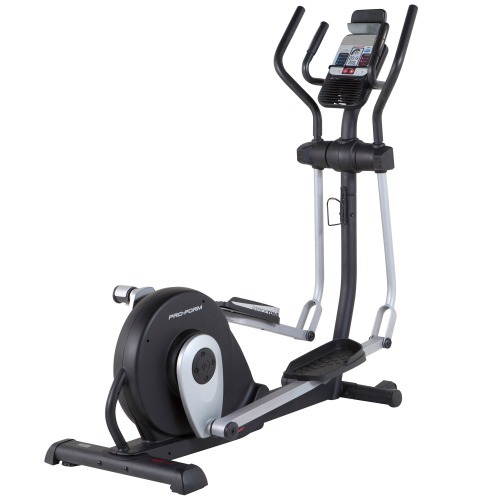 With the Excel 320 front drive, York Fitness have a winner on their hands! So, if your budget is stretched and want a good front drive machine with proper heart rate control options, then the 320 could do the job nicely. 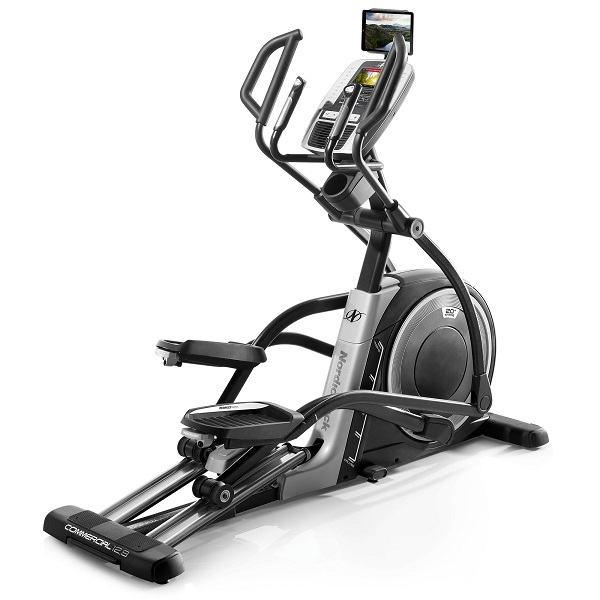 If your budget can stretch a bit higher, then it'd probably be worth having a look at the Sole E25 as well which costs a little more, but also adds an incline ramp to more varied exercise options!